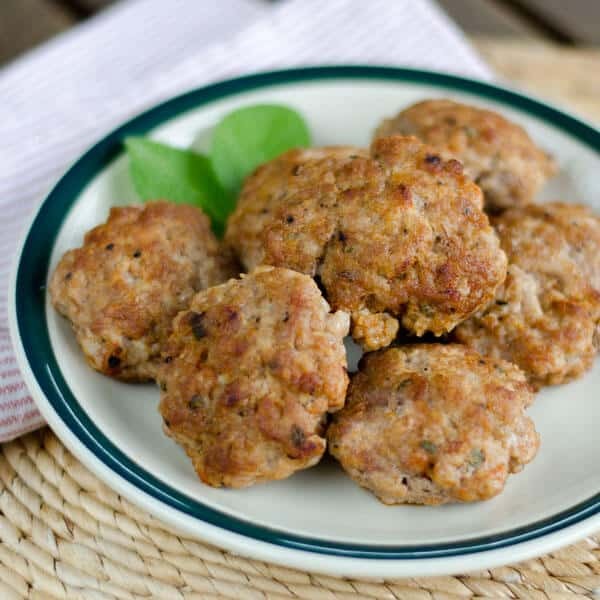 These easy paleo recipes are perfect for spring. 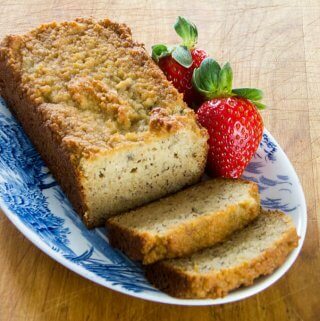 All are gluten-free, grain-free, and refined sugar-free. There's nothing better than fresh spring produce. This time of year the farmer's market is filled with beautiful colors and flavors. What's in season in spring? Some of my favorites are asparagus, arugula, avocado, lemon, mango, pineapple, spinach and, of course, strawberries. 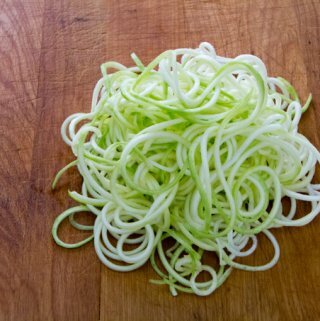 Spring produce adds freshness to these dinner main dishes and easy spring side dishes. 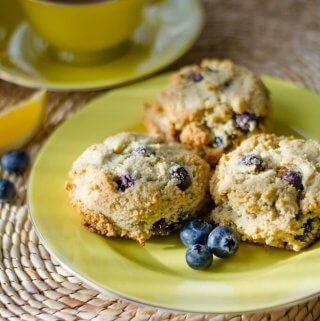 And fresh berries and lemon are delicious in salad, muffins, and smoothies. And of course, avocado is great in everything! 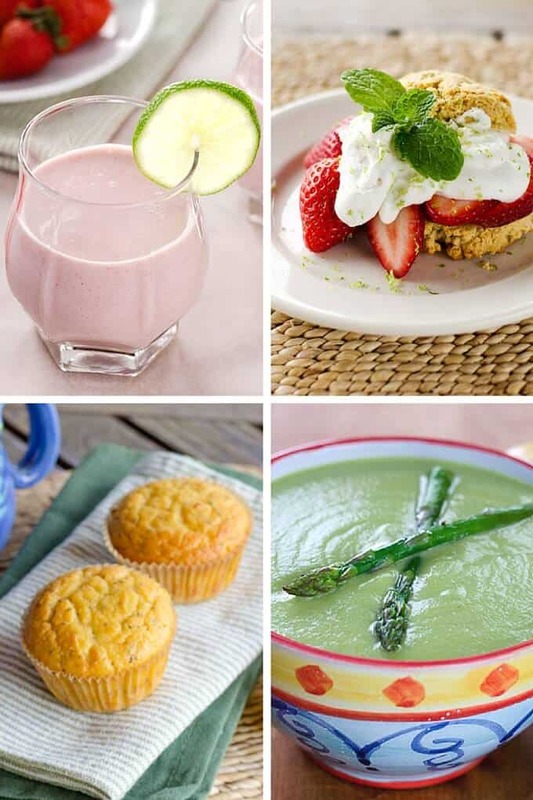 If you're looking for gluten-free spring recipes, here are a dozen recipes for spring using seasonal fruits and vegetables that fit the bill. 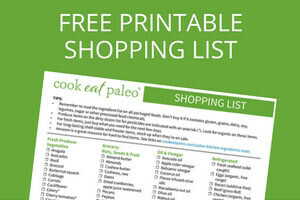 All are paleo and gluten-free and there are options that are keto and Whole30-friendly as well. Happy Spring! 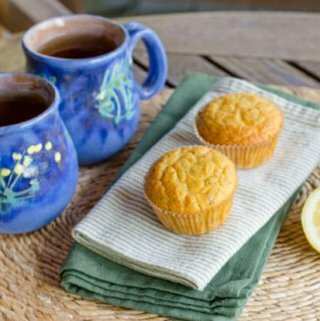 Fresh lemon juice and lemon zest add a touch of spring to these coconut flour lemon poppy seed muffins. 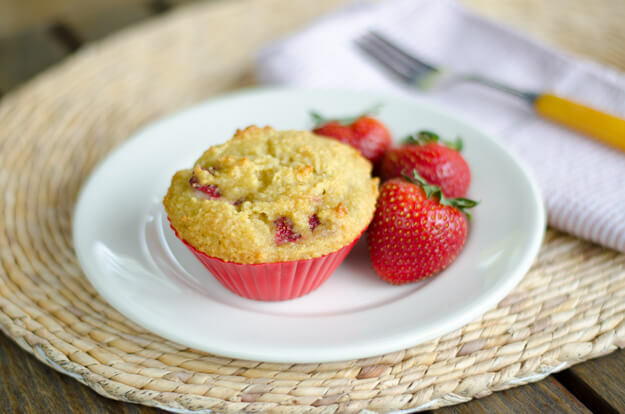 This is what spring dreams are made of—fresh strawberries baked into tender almond flour muffins for breakfast! 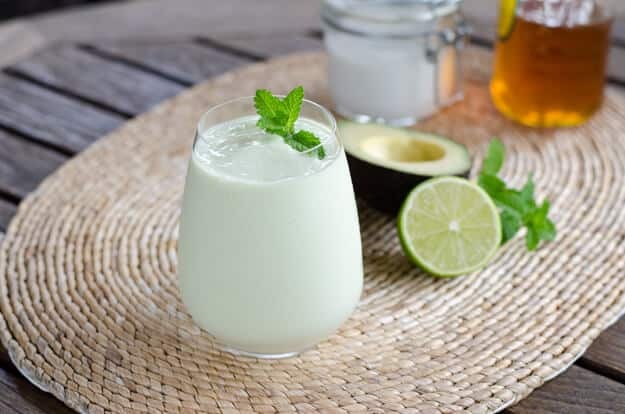 Fresh lime juice, avocado, and coconut milk combine for a creamy, dessert-worthy treat. All the flavor of key lime pie without having to bake one! 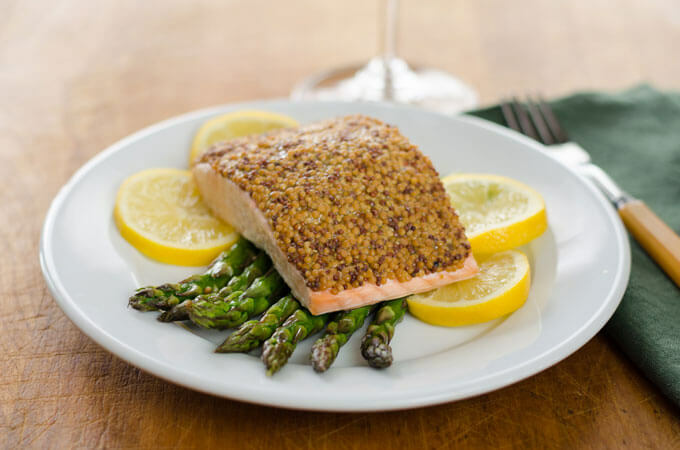 This easy sheet pan dinner includes seasonal favorites wild-caught salmon and asparagus—and is on the table in minutes! 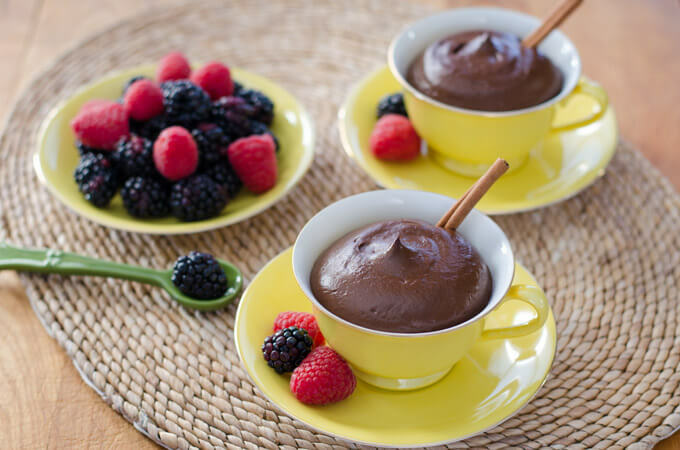 A delicious—and chocolatey–use for ripe avocado that's perfectly paired with fresh berries. 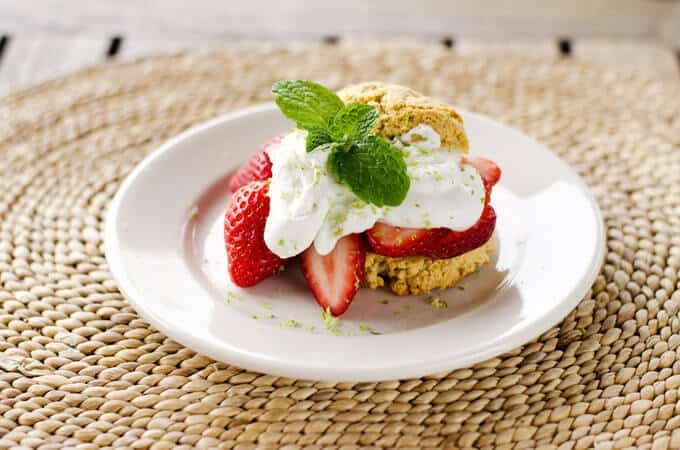 This classic dessert is made paleo with easy almond flour biscuits, fresh strawberries, and whipped coconut cream accented with fresh lime. 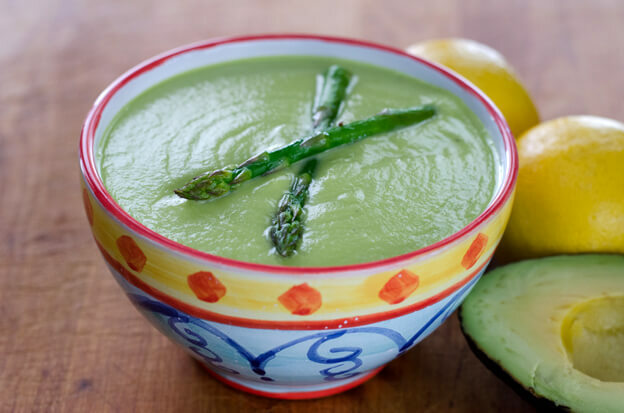 Two spring powerhouses—avocado and asparagus—come together in this decadent, creamy (and dairy-free) soup. 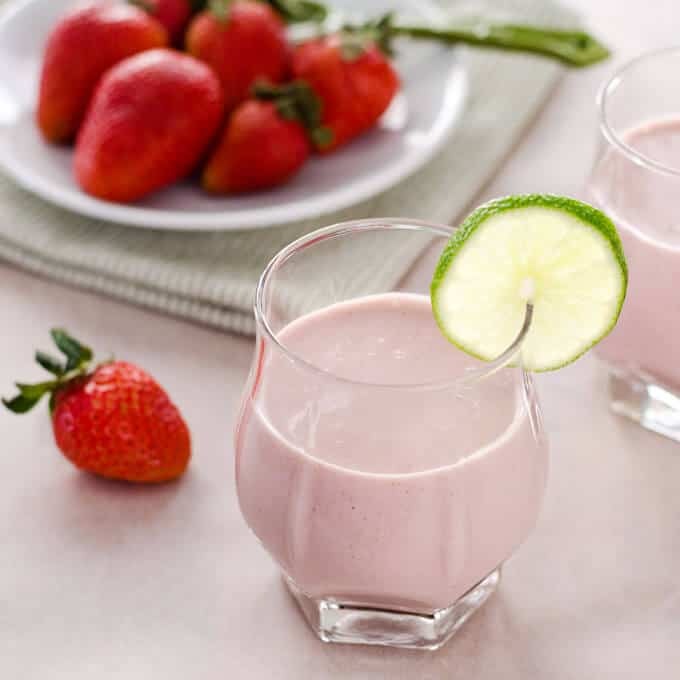 Simple and perfect—like a strawberry milkshake (without the dairy). 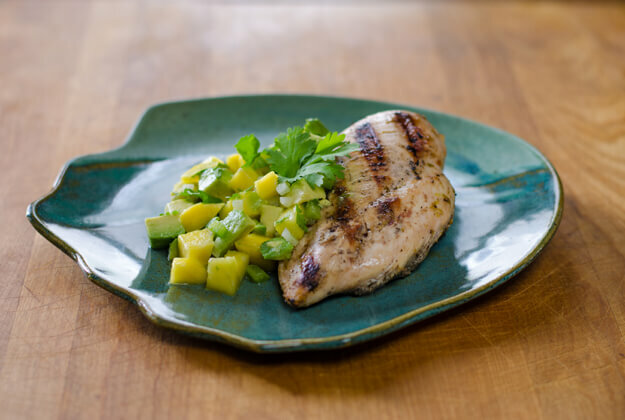 It's time to break out the grill! 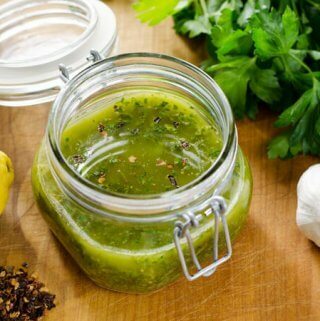 This tropically inspired salsa will have you dreaming of warmer weather. 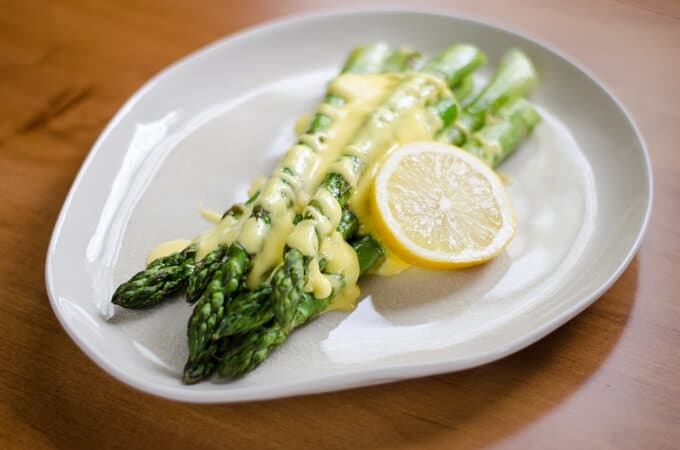 Asparagus with Hollandaise sauce is a classic—and this easy blender method for making the sauce is foolproof. This salad is spring on a plate. 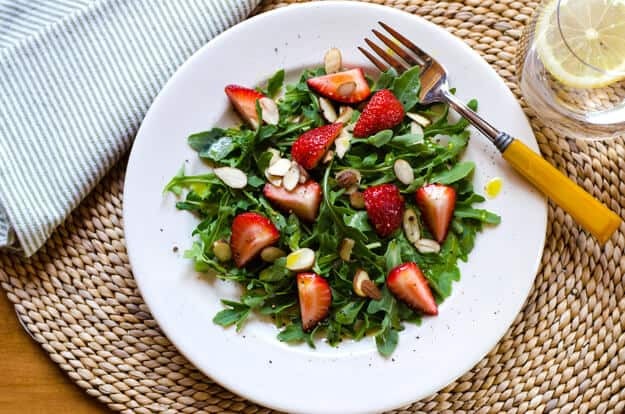 A super simple Meyer lemon dressing pairs perfectly with the arugula and strawberries. 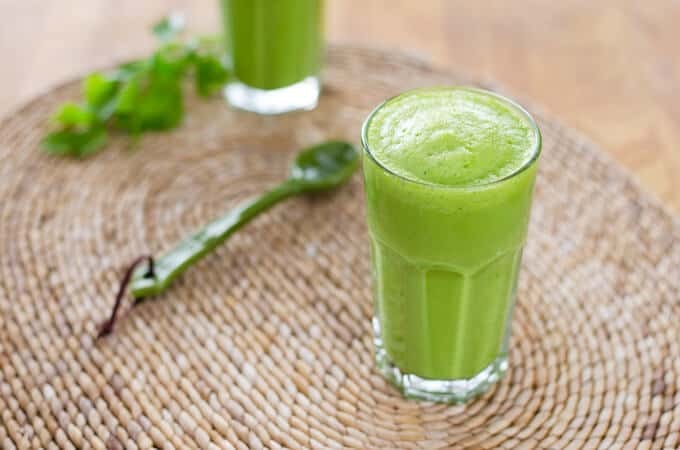 With just 3 ingredients this is the easiest and tastiest green smoothie ever! 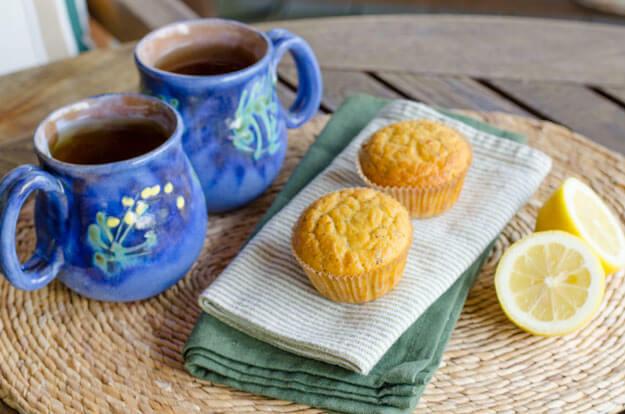 What's your favorite recipe for spring? 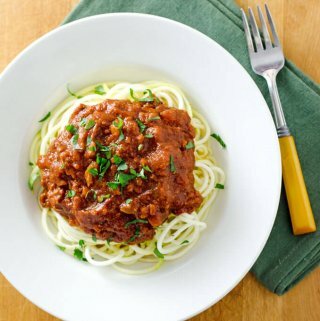 What dish says spring to you? 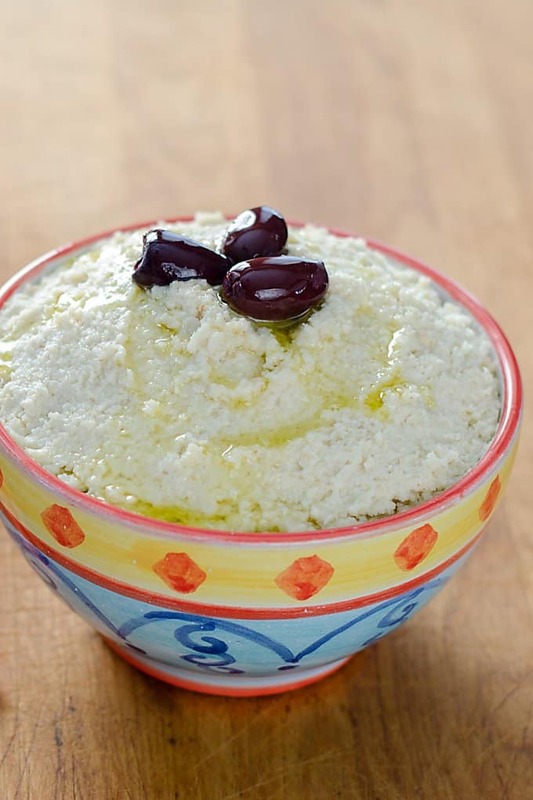 Share your favorite spring recipe in the comments below!